Buck Knives Folding Carabiner Knife – Razer sharp, one hand opening, lightweight. Buck Knives also offer a lifetime warranty for all their knives. 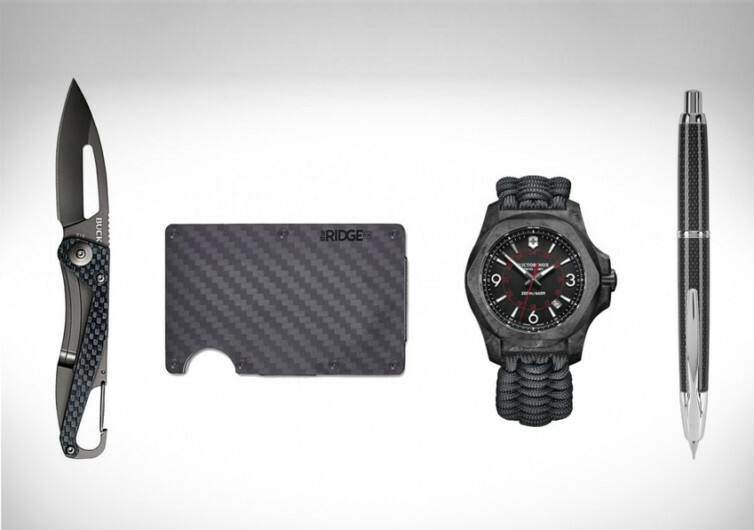 Ridge Carbon Fiber Wallet – Simple, strong and modern. Ridge wallets are the future of your EDC collection. Victorinox Carbon Watch – This amazing looking watch is constructed with carbon composite and comes with a paracord survival strap. Pilot Vanishing Point Pen – A durable, retractable fountain pen with rhodium accents to add a touch of elegance to the carbon fiber look.